3. "If My Husband Owes Back Taxes, How Do I File?" When someone dies leaving a debt, their estate will pay the amount that is due before distributing the remaining money to the heirs. A surviving spouse will not have to pay back taxes if the deceased filed his own tax return. The situation may be different if you filed jointly, the debt was incurred when you were living together and the estate does not have enough money to cover the debts and taxes. In this case, you're responsible for the debt – and not just half of it, either. What If My Husband Owes Taxes, Do They Come After Me? If your husband filed separately or as head of household, then he is 100 percent responsible for his own taxes. The Internal Revenue Service can come after him, and only him, for outstanding tax liabilities. The same applies if your husband incurred a debt before you were married. In this scenario, your spouse is solely liable for the back taxes and the IRS cannot come to you for payment. If you filed jointly in the year the tax debt was incurred, then you may be personally liable for the back taxes. When you file jointly, you assume "joint and several liability" for any money that is owed. This means that both you and your spouse are legally responsible for the debt. With joint and several liability, the liability does not fall 50 percent to you and 50 percent to your husband – you are 100 percent liable for 100 percent of the debt. If the back taxes are $5,000, for example, the IRS can come after your husband for the full $5,000, or they can come after you for the full $5,000. If they decide to come after you, you'll be the one receiving a tax demand. The IRS can even intercept your tax personal refund to pay your joint back taxes. In theory, death does not change the position. There's no forgiveness of debt upon death, and legal responsibility for the debt remains the same regardless of whether the person is alive or deceased. In practice, you probably shouldn't worry. The debt almost always will be paid from your deceased husband's estate. Who Is Liable for Taxes After Death? When someone dies, his estate – that's everything he owns – will pass through probate. 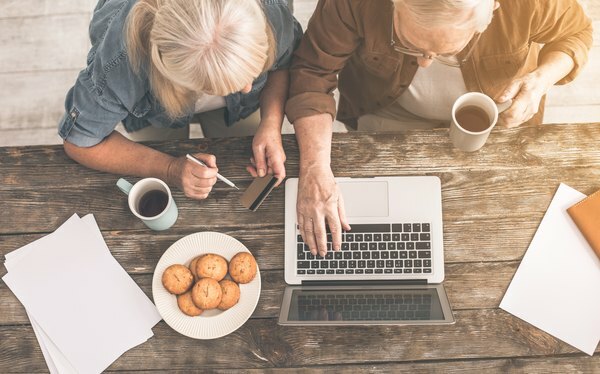 During this process, an executor (if the deceased left a will) or an administrator (if the deceased died without leaving a will) will gather the deceased's bank accounts, pension plans, stocks, bonds, real estate and other assets and use these to pay off the deceased's tax bill and other debts. The executor is responsible for filing the deceased's final tax return, checking that he filed previous years' returns and ensure that any resulting taxes are paid. If your husband filed single and is solely liable for back taxes, then the IRS must file a claim against the deceased's estate. They cannot pursue the spouse, the beneficiaries or anyone else for the back taxes. With joint and several liability, your husband is still liable for the entire tax debt – albeit jointly with you. By law, the executor is responsible for making sure the IRS gets their money so there's no problem with paying the bill from the estate funds. That will relieve you of responsibility. The IRS won't care from which one of you the money comes as long as the tax bill is paid from a legitimate source. Once the debts are paid, the rest of the estate can be distributed, free and clear of debt, to the deceased's heirs. Bear in mind that the tax bill will diminish any inheritances left to you or other family members, so indirectly, you are paying some of the debt. What If the IRS Comes After Me? There's one situation whereby you may be on the hook for the back taxes, and that's if you filed jointly with your husband him in the year the tax debt was incurred and your husband's estate is not submitted for probate, which might happen if the estate is very small, he left nothing of value or because all his assets were put into a trust or other legal arrangement that is designed to avoid probate. If that's the case, then there's no money in the estate to cover the tax bill so the IRS almost certainly will come after you for the entire debt. If the estate cannot pay it, you must. However, there's still a possibility that you can wriggle out of some or all of the debt. To do that, you must prove that the back taxes are owed due to misreporting and that you qualify for "innocent spouse" status or for "separation of liability" relief. How Do You Claim Forgiveness As an Innocent Spouse? Did you know that your spouse filed incorrectly? If you genuinely had no knowledge of the tax understatement and you can prove it, then you may be able to claim innocent spouse relief. If you qualify, the IRS will fully forgive all the back taxes owed on joint filings. Your spouse failed to report income, underreported income or fraudulently claimed deductions or credits. He did so behind your back and entirely without your knowledge or consent. A reasonable person in a similar situation would not have known about the misreporting. If you could have found out with a little diligence, then you're probably not going to get innocent spouse relief. File for innocent spouse relief by completing IRS Form 8857 and submitting it within two years of the back taxes notification. Be sure to tell the entire truth when filling out the form. If you lie, you could face penalties for perjury. A second option is to apply for separation of liability relief. If your spouse were alive, you could claim this relief if you filed a joint return while you were divorced, legally separated or living apart from your spouse. Since your spouse is deceased, all you have to show is that you're widowed and you did not know about the tax understatement when you signed the joint return. Unlike innocent spouse relief, the IRS will not let you off the hook entirely if you qualify for separated spouse relief. Rather, you'll be allocated a portion of the debt – probably 50 percent, unless your tax return shows that a different split would be more equitable. The application method is the same as for claiming innocent spouse relief, on form 8857. There are nine community property states: Arizona, California, Idaho, Louisiana, Nevada, New Mexico, Texas, Washington and Wisconsin. The rules regarding tax liability are more complicated if you live in these states, and death adds another tier of complication. Generally, you are responsible for paying taxes on half the joint marital income. So, if you earned nothing at all in 2017, and your husband earned $100,000, you would be liable for the taxes due on half the community income or $50,000. States have different rules about what happens after death. In some jurisdictions, the IRS can file a tax lien and collect against all the community property assets, such as your marital home, even if the tax debt arose before you were married. In others, the IRS would claim solely against the deceased's estate. If you live in a community property state, consult with a tax attorney to find out exactly where you stand. Debt.com: If My Spouse Owes Back Taxes Am I Liable? Can I Be Taxed on Money Gifts From Abroad?